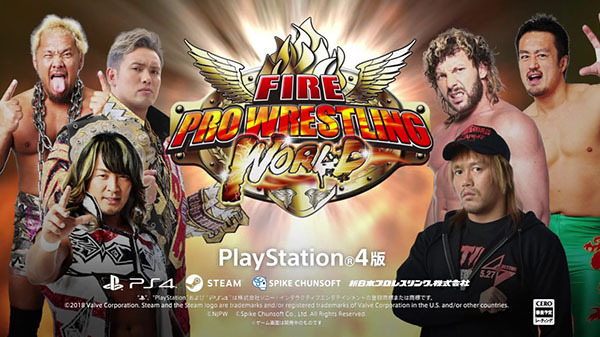 Spike Chunsoft has announced a summer release window for the PlayStation 4 version of Fire Pro Wrestling World, as well as a collaboration with New Japan Pro-Wrestling. In addition to all of the wrestlers of New Japan Pro-Wrestling appearing in the game, the collaboration includes a story mode where players become a New Japan Pro-Wrestling newcomer and aim to win the International Wrestling Grand Prix. Fire Pro Wrestling World is currently available for PC via Steam.